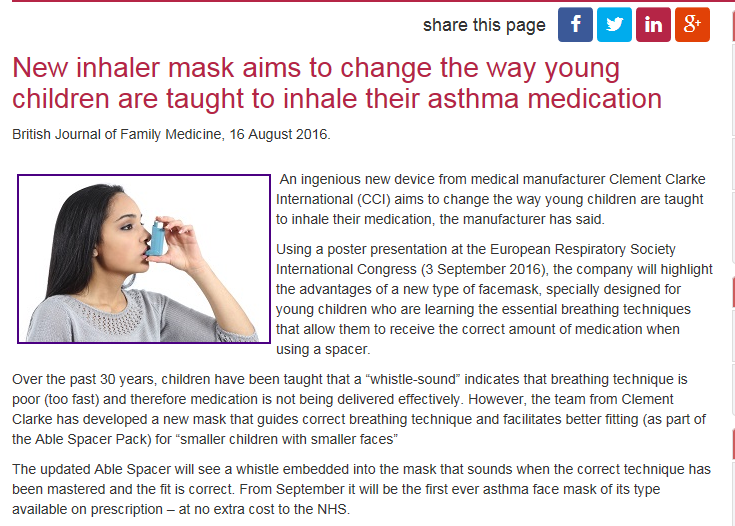 Trinity is delighted to be working alongside leading UK medical manufacturer Clement Clarke to help promote the updated Able Spacer mask, developed to teach young children with asthma how to inhale their medication correctly. “For too long, many children learning to manage their asthma have been taught using outdated negative reinforcement methods” – that’s the claim from the managing director of UK-based medical device manufacturer, Clement Clarke International (CCI). 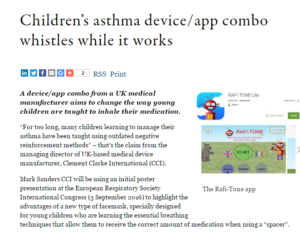 Mark Sanders CCI will be using an initial poster presentation at the European Respiratory Society International Congress (3 September 2016) to highlight the advantages of a new type of facemask, specially designed for young children who are learning the essential breathing techniques that allow them to receive the correct amount of medication when using a “spacer”. 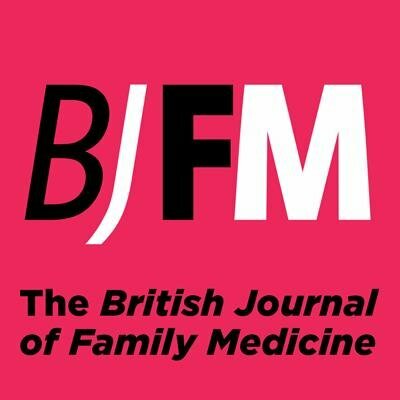 For the past 30 years, children have been taught that a “whistle-sound” indicates that breathing technique is poor (too fast) and therefore medication is not being delivered effectively, claims CCI. 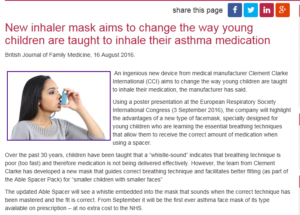 The group has developed a new mask that guides correct breathing technique and facilitates better fitting (as part of the Able Spacer Pack) for “smaller children with smaller faces”. The updated Able Spacer will see a whistle embedded into the small mask that sounds when the correct technique has been mastered and the fit is correct. From September the first asthma face mask of its type will be made available on prescription – at no extra cost to the NHS. 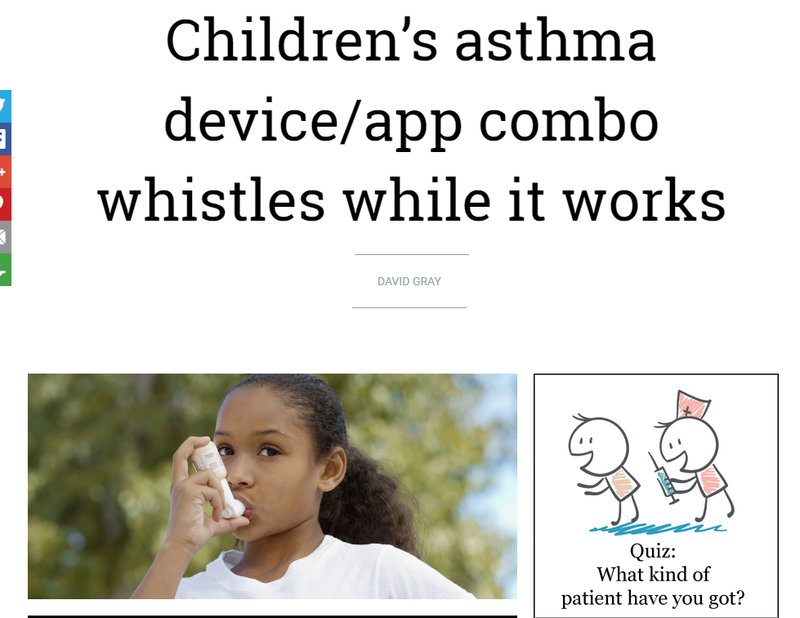 It will also be the first prescription respiratory device with a free ‘gamification’ App, claims the group developed by Dr Tariq Aslam, founder of University of Manchester spin-out, Clin-e-Cal, in response to his son Rafi’s problems with accepting a spacer. The app helps children to accept having a mask on their face using a fun, animated game (as a free download on iPhone and Android devices). 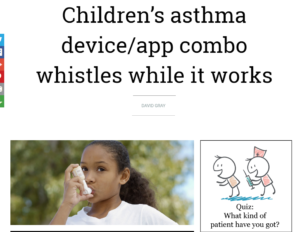 The concept of the “Rafi-Tone” app is simple – the whistle sound emitted by the mask when the young user is breathing with the spacer correctly is capable of driving the Rafi robot through a series of challenges as it fights off the attacking “baddies”. More about Rafi-Tone’s development is available here.